Canadian Wildlife Federation: My neighbour never picks up the leaves in his yard. What can I say to encourage him to take care of his yard? My neighbour never picks up the leaves in his yard. What can I say to encourage him to take care of his yard? Actually, your neighbour is taking care of his yard – at least when it comes to helping his soil and providing habitat for wildlife! You see, when you mow your lawn and therefore any leaves, the leaves get shredded into smaller pieces and decompose, returning important nutrients to the soil. Leaves that are left under trees or are gathered and placed in flower gardens also provide benefits. Flowers that grow under deciduous trees, for example trilliums and trout lilies, are used to growing through layers of leaves. And, shredded leaves placed in garden beds serve as a mulch protecting tender plants, keeping weeds away, and retaining soil moisture and soil temperature! Leaves also provide shelter, nesting materials and food resources for many species of wildlife including salamanders, toads and insects including some butterflies! 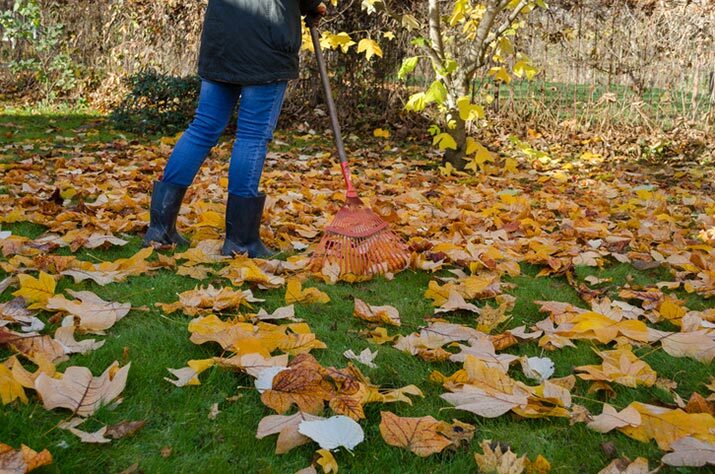 So this fall, don’t feel guilty about leaving your leaves on your lawn or worrying about your neighbour’s leaves – those leaves are actually providing many great benefits! Besides offering a wonderful fragrance and a breathtaking sight, a native wildflower meadow is a magnet for wildlife. As the hot blush of summer fades away, the gardening season comes to a close. But don't put your tools away just yet. There's still much to be done.